Jane has been in private practice for over 30 years providing a mind-body focused stress management program for her clients including mindfulness based individual counseling, biofeedback and therapeutic body work. Her clinical practice focuses on helping people to bring mindfulness to daily life, so they can respond more skillfully to difficulties with relationships, work, chronic illness and other life stress. She has studied Vipassana (Insight) meditation for over 30 years at the Insight Meditation Society in Barre, MA and has taught mindfulness classes for health professionals and lay people for five years. Jane earned her Masters degree from the University of Pennsylvania in the Family Nurse Clinician program, which integrated the the view of the active, empowered client with the nurse in a more independent yet supportive role, promoting optimum health throughout the life span. She has completed post graduate training in therapeutic body work, grief work, Therapeutic Touch, Gestalt training, Heart Rate Variability (HRV) biofeedback and is a Board Certified Senior Fellow by the Biofeedback Certification International Alliance (BCIA). She has completed a 10 week Mindfulness-Based Stress Reduction (MBSR) teacher practicum training and has taught mindfulness classes for 6 years. She also completed the intensive 7 Day Mindfulness Based Stress Reduction in Mind-Body Medicine with Jon Kabat-Zinn PhD and Saki Santorelli EdD, MA. Jane also completed the 8 day MBSR Practice Teaching Intensive at the Center for Mindfulness located in Shrewsbury, Massachusetts. She is a Center for Mindfulness, Qualified MBSR Teacher. 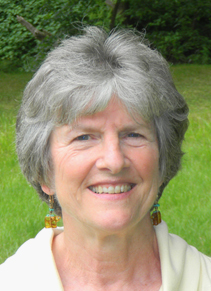 Jane studied Nonviolent Communication (NVC) for over 10 years. She views this process as mindful communication. For Jane, “the revolutionary part of NVC is that it teaches a way to really value emotions (rather than see them as problems to be fixed) and views them as means to connect us deeply to who we are as individuals and what matters most to us as a human being.” This understanding has caused a deep shift in her awareness and compassion for herself and respect and compassion for others. She is very interested in integrating NVC with the practice of Mindfulness. Are you still doing one on one sessions? I am in need of some help.